« Macrophages, Traffic Tactics, and the Hippocampus! Intrigued by the human body? Katie Parzych will clue us in on the process of autophagy – a recycling process that our cells use to stay healthy. Curious about the natural world beyond the human body? Kirsti Ashworth gives us the lowdown on chemicals produced by trees, and how they might relate to air pollution, and the related “nefarious” world of plant communication. 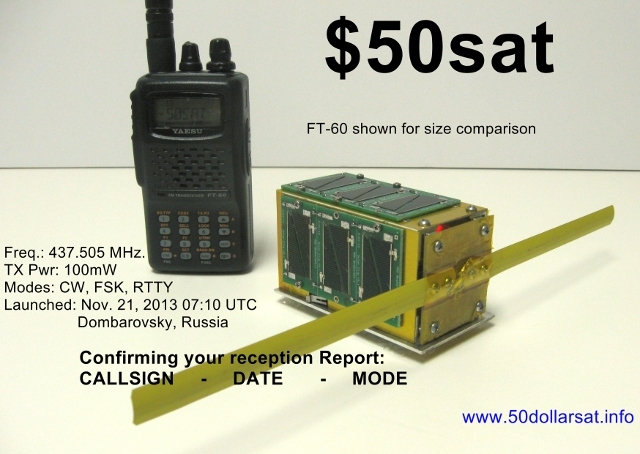 And, if you’re more interested in something above and beyond the earth – Michael Kirkhart, amateur satellite developer/operator tells us all about a tiny satellite called $50SAT! 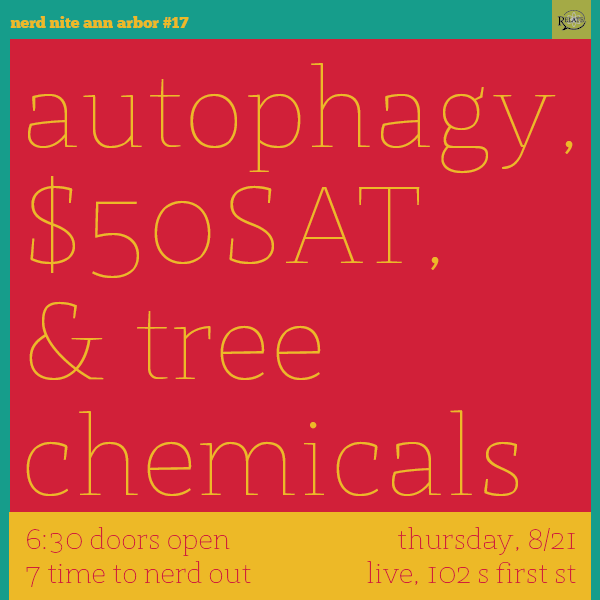 When: August 21st, 2014, doors at 630pm, talks at 7pm! 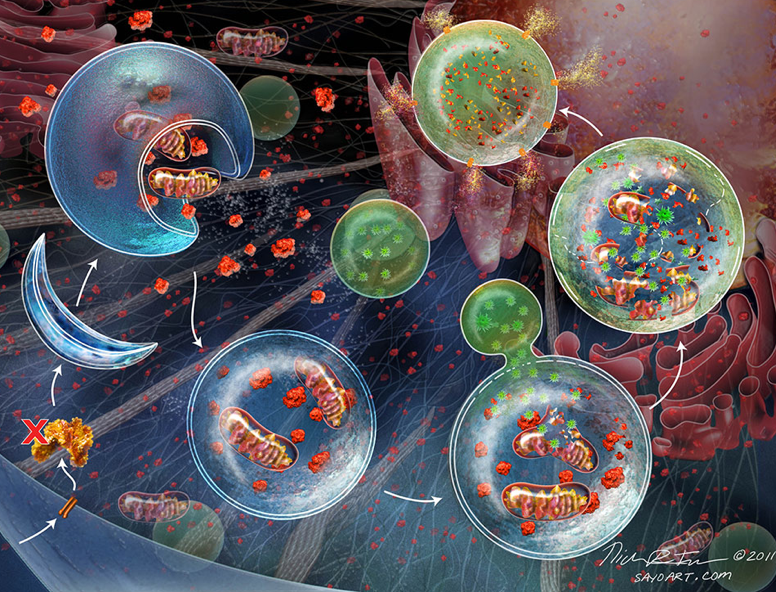 Autophagy is a recycling process that our cells use to stay clean and healthy. Defects in autophagy can contribute to several diseases, including Alzheimer’s disease and cancer. In this talk, I’ll be discussing how autophagy works, why maintaining the right balance of autophagy is important in preventing disease, and how expanding our understanding of how cells control autophagy is important for developing new treatments for diseases. Katie is a PhD student at the University of Michigan, where she studies how yeast cells regulate autophagy in response to nutrient starvation. She is a recent participant of the RELATE workshop aimed at teaching scientists how to communicate their research to a wide range of audiences. When not geeking out about microbiology and yeast, Katie can usually be found acting on stage with a number of Ann Arbor’s local theatre groups. This talk will provide an overview of the project, including some of the challenges involved as well as a discussion on in-orbit performance. Michael Kirkhart is an electronics engineer, hardware hacker, amateur radio operator. He recently added the title of amateur satellite developer/operator to the list. 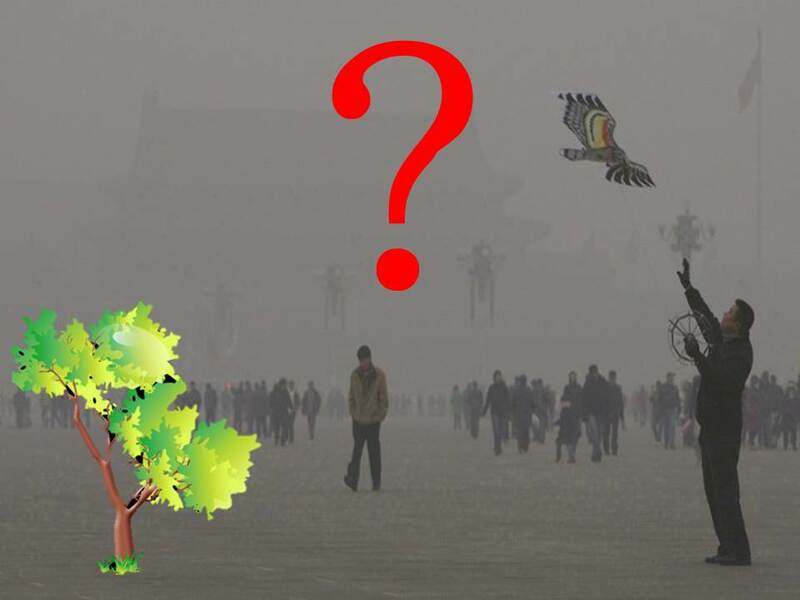 Kirsti Ashworth – Trees – Heroes or Villains in the Battle Against Air Pollution? Kirsti is a Brit, who has only recently made it across the pond and into Michigan. She gained a PhD in Atmospheric Science from Lancaster University in 2012, where she pondered whether the cultivation of biofuels could affect human health and crop production. In between, she worked as a research scientist in deepest, darkest Bavaria – at Garmisch-Partenkirchen, Germany’s premier alpine ski-resort (though sadly she did have to spend some time most days working). While loving the life in Ann Arbor, she does occasionally miss seeing the mountains!